Ogilvy's new UK head of PR and influence, Matt Buchanan, says the agency has completed its internal restructuring and the 'one Ogilvy' model is helping it attract more new business opportunities than before. Buchanan was appointed to lead Ogilvy’s PR and influence in February, essentially filling a void left by former PR chief Michael Frohlich when he was promoted to group CEO a year earlier. 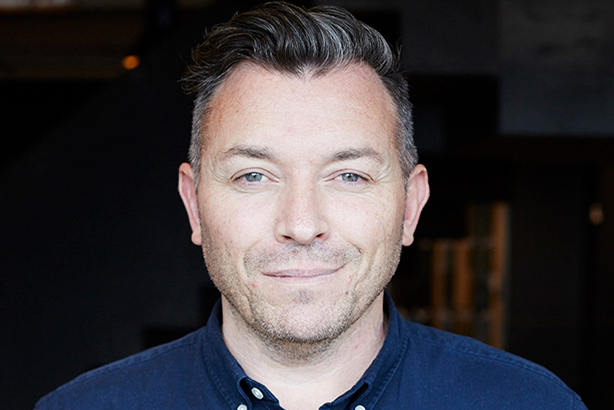 The 44-year-old Australian officially began his new role last week and sat down with PRWeek for his first interview as Ogilvy UK's PR boss. PR and influence is one of seven divisions in the fully integrated agency, which now operates under a single P&L. The others are social and content, advertising, customer engagement, partnerships, brand strategy, social and content, and digital and data service platforms. Former One Green Bean managing director Buchanan said Ogilvy’s 120-strong PR and influence team did not lose a single staff member in the agency’s highly publicised round of voluntary redundancies last year. In fact, the division's capability has "got a bit bigger" in size and is looking to grow with talent who specialise in creative PR, strategy and influencer marketing. "Will there be more change across the agency? No – the hard work in terms of the restructure has now been done and we have an inspired, enthused and fantastic team that is raring to go," Buchanan said. Buchanan essentially steps into the shoes of Frohlich, who he has worked with previously at Bell Pottinger. He is also familiar with the Ogilvy culture having previously worked with Pulse, its consumer PR agency in Australia. He admits following in Frohlich’s footsteps comes with additional pressure, but would rather view this as a positive. "PR and influence is my responsibility but I won’t keep Michael away from the PR side of things. 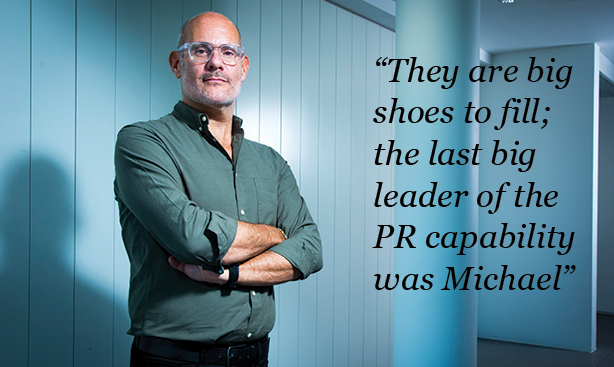 They are big shoes to fill; the last big leader of the PR capability was Michael," he said. "We’re making a statement. The most senior guy is from PR; it’s unheard of to have a PR person elevated to that role and essentially running a marcomms and ad agency. I know when I go to him, he will understand the context and challenges I am facing, but he has enough on his plate to focus on." Ogilvy’s single P&L approach formed from the integration of Ogilvy & Mather, Ogilvy One, Ogilvy PR and other parts of the group. When Frohlich was elevated to group CEO, his main responsibility was to integrate these separate businesses into a single, well-oiled machine – a process that he once described as "the darkness followed by the light" after several senior staff left, and voluntary redundancies. There has been conjecture in the industry about how the integration would impact its PR business, and even rumours that it could be spun off into other parts of WPP. Buchanan points out that such gossip is baseless, and PR and influence is among the largest divisions in terms of headcount, just behind Jai Kotecha’s social and content team, which has about 130 staff. "PR and influence and earned media sits at the heart of Ogilvy’s offer. It absolutely is the future of this business," he said. "We might not now be called ‘Ogilvy PR’ but this agency has a wonderful heritage in PR and we’re proud of it." The new PR boss said the fully integrated approach means that PR is not only at the same table as advertising and other areas, but it has helped Ogilvy PR get onto more pitch lists than it previously might have as a standalone PR shop. "It’s getting us on to more pitch lists, for sure. There’s a real interest and intrigue...we have a lot of new business and integrated pitches," he said. "Having one P&L means that there is no land grab across different capabilities. You are rewarded for offering the client the right solution instead of what will make your division of the agency the most revenue. We offer the right solution, rather than the solution they come in the door for." The area that PR and influence works most closely with internally, unsurprisingly, is social media and content, with almost all PR clients receiving some element of social and content support. Ogilvy has several clients – including Boots, British Airways, IHG – with fully integrated account teams that are comprised of talent from all seven capabilities. It also has pure PR clients, including the likes of Bacardi, Sony Playstation, Google, TK Maxx. "The opportunity for Ogilvy is to cross-sell these clients to other capabilities," Buchanan said. Buchanan has held senior positions in PR agencies for two decades, including at One Green Bean, Red Consultancy, Lexis and Bell Pottinger in the UK. He understands that while earned media is going through somewhat of a golden era, there are also many challenges that lay ahead. "Budgets are shrinking, the PR landscape is changing in terms of the rise of influencer engagement, the role that content plays is more significant," he said. "What clients are coming to us for is changing and so are consumers’ attitudes towards brands...you have to work harder to attract consumer’s attention and get cut-through. "Campaigns need to be bolder and more creative." He believes that this year Ogilvy’s new fully integrated approach to market should start to really bear fruit and is excited by the opportunities ahead. "This year is when we expect to really maximise what the agency now offers," he said. "What excites me about the role is that the foundations are really strong. We have a fantastic client base and some great talent. We have a leader in Michael Frohlich, who is a PR person. That shows you the importance Ogilvy places on PR as a discipline." Business philosophy: "We take what we do incredibly seriously – you have to have a sense of realness and authenticity when it comes to the work, relationships and client outputs. But I don’t take myself so seriously." Management style: "I’m very open and honest. I think Im pretty authentic and what you see is what you get. I don’t have a 'work Matt' and an 'out of work Matt'. I like to build strong teams where people enjoy working with me." Favourite sports team: "Geelong Cats (AFL - Australian Football League)." 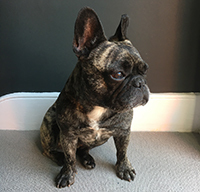 What else should we know about you: "I’ve got a beautiful French bulldog called Frank (right), my husband is a food photographer and I love to travel." Who is going to win the Ashes: "I feel quite conflicted about answering that having lived here for 20 years. I’m proud to be Australian and British."